Attorney Flaherty also utilizes private mediation to assist couples seeking to amicably end their marriages. He provides legal counsel in family law matters involving divorce, domestic violence, paternity, prenuptial and post-nuptial agreements, gay and lesbian family law, restraining orders, spousal support, child support, separation agreements and uncontested divorce. Attorney Flaherty has been selected to Connecticut Super Lawyers for the last ten consecutive years. Super Lawyers is a rating service of lawyers who have attained a high degree of peer recognition and professional achievement. The selection process is multi-phased and includes independent research, peer nominations and peer evaluations. James Flaherty also maintains an “AV Preeminent rating” with Martindale-Hubbell for ethical standards and legal ability, and is well-reviewed and rated on AVVO.com and Lawyers.com. A Special Master in the Tolland and Hartford Judicial Districts, Attorney Flaherty has also been selected to serve as a Special Master for the Regional Family Trial Docket in Middletown. James is admitted to practice in Connecticut and the U.S. District Court for Connecticut, and he is a member of the Connecticut Bar Association. He has extensive trial experience in both family courts and civil courts throughout Connecticut. The attorneys of Flaherty Legal Group, LLC focus their practice on the areas of divorce and family law. Utilizing a team approach and decades of experience in family law courtrooms across Connecticut, the West Hartford attorneys explore every opportunity for mediated settlement, but exhibit strength and expertise when agreeable settlement cannot be reached and the matter must be resolved in trial. Honors: Graduated in top 10% of class. Connecticut Attorney James Flaherty has maintained an AV Preeminent rating with Martindale for three consecutive years. 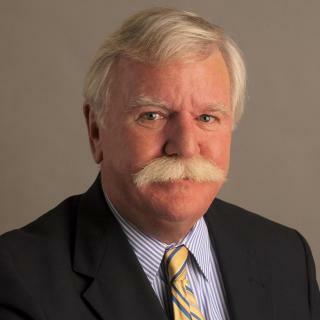 James Flaherty of Flaherty Legal Group, LLC in West Hartford, CT was named for the 7th consecutive year to Connecticut Super Lawyers in 2015. A brief informational video about Flaherty Legal Group.